The American president had made no secret of his eagerness to get together with President Putin even while he was on his poll campaign drive. As he said at the post- Summit joint press conference, it was 'good thing' for the two big powers to be talking to each other.. Although the Cold War,meaning the armed contest for power and influence between Moscow and Washington, ended in 1990s, any summit meeting between the Presidents of America and Russia dwarfs all other such summits.The latest one in Helsinki (Finland) held on July 16 dominated the international media headlines for the wrong reasons. The potential possibilities from the meeting were eclipsed by US domestic concerns about alleged Russian intelligence attempts to influence the 2016 presidential polls as well as President Trump's amateurish attempts to bury the allegation. This particular charge has been investigated and upheld by US intelligence as well by the law-makers. 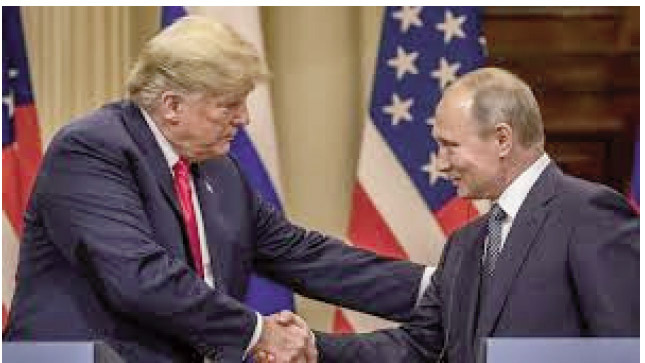 Still President Trump did not appear to have confronted President Putin on this sore point.More galling to Americans was his assertion that he believed his counterpart's denial of any poll meddling by Russian official agencies. The American president had made no secret of his eagerness to get together with President Putin even while he was on his poll campaign drive. As he said at the post-Summit joint press conference, it was 'good thing' for the two big powers to be talking to each other. Some important points made by him,largely ignored by American media, were: both Moscow and Washington, possessing nearly half of the global stock of nuclear weapons,should discuss their reduction; jointly address the conflict in Syria; move for strengthening the fight against terrorism. Russian counterpart-both points were noted and widely criticised in US. There are all kinds of speculations about the reason for President Trump to be pally with President Putin,including suggestions that the latter holds some unsavory information on Trump suitable for blackmail. Yet, by not demonising the Russian President,as is being done by America's NATO allies in Europe,and suggesting that Russia should be re-invited to G- 7, the American leader may be playing a subtler game to soften him. A working relationship between the big powers is a positive for global peace and order.Not long ago, President Obama had sought Russian help in restraining Syria and reaching humanitarian aid to people caught in the conflict,although Obama's relationship with Putin was anything but cordial. In any case, the US cannot be complaining about foreign interference in its internal affairs because American CIA has been a pioneer in widespread meddling in other countries affairs across continents.In 2016, it was given a bit of its own medicine by Russia. The second decade of this millenium has witnessed an unprecedented 10 per cent increase in global arms trade, according to SIPRI that monitors weapons sales.In absolute figures, Nearly $100 billion worth of weapons are sold every year. The US tops the list accounting for 34 per cent of weapons exports followed by Russia and China. About half of American weapons exports went to the Middle East, mostly to Saudi Arabia and UAE.Israel is both a significant importer and exporter of arms.The conflicts in Syria,Yemen and the tension between Israel and Palestine, with Iran and Arab states backing different parties has made this region one of the hottest parts, according to UN. In Asia, China's growing military spending ($150 billion a year) and its belligerent moves in South China Sea has also caused an arms race. The US outranks all other countries in defence spending ($ over 600 billion per year on average).China and Russia come second and third. The European NATO members are already incurring about 2 per cent of their GDP on defence and the US President has recently urged them to raise such spending to 4 per cent. If and when it happens, the military- industrial manufacturers of the world can be expected to enhance their political influence and dominate international diplomacy. 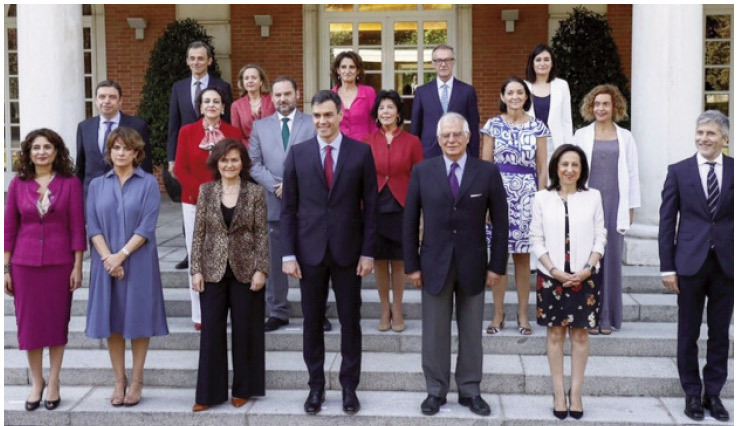 The new prime minister of Spain,Pedro Sanchez, has appointed 11 women to his 17 member cabinet. The key finance portfolio has gone a woman. The Canadian prime minister Justin Trudeau in 2015 gave half of his cabinet posts to women. Mexico is the latest one where the new President who assumes office in December has announced that he will give equal representation to women in his council of ministers.France has been following this policy since 2007. 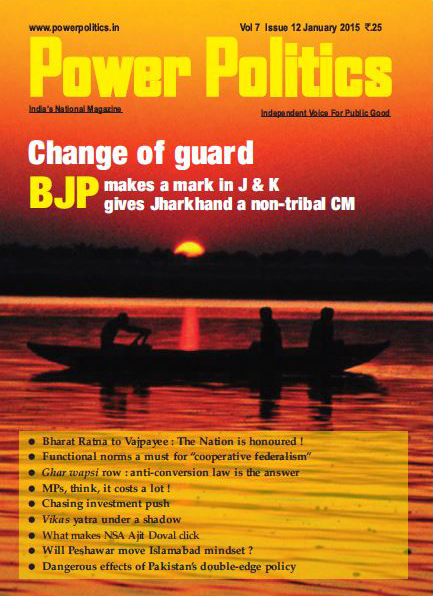 Is there any chance of India adopting this policy after 2019 parliament polls ? China, hit by President Trump's levy of billions of dollar tariff on Chinese imports, has chosen to hit his voter base in America's mid- West region and elsewhere. Beijing is the world's biggest importer of Soyabean, about 80 million tonnes.Major portion of this comes from US. In a retaliatory step,China has imposed tax on import of US Soya. In addition, it has increased imports from Brazil,second biggest Soya grower.It has also tapped India, the seventh largest Soya cultivator in the world, in a move to reduce its dependence on US soya. It is interesting to note that 18 American states grow about 56 per cent of the country's soya output; 16 of them had voted for Trump in 2016 election.Beijing is using its import power ( farm produce imports from US is valued at $20 billion) to send a stiff message.